QC Pet Studies graduate Casey Bechard works as a full-time dog groomer and shop manager at Off The Leash Pet Grooming in Regina, Canada. 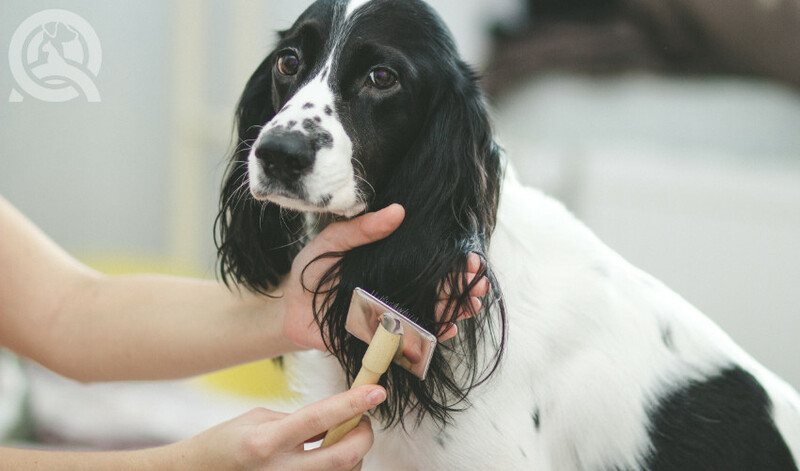 Read on as she shares her insight about the beginning stages of her dog grooming career! Before you start anything in life, you’ll want to know the pros and the cons of something you’re going to invest a lot of time and money in. Before I started my grooming career, I never in a million years thought I would love it so much! In continuing on this journey, there are a number of things I wish I knew beforehand. Whether they were good things (things I wish I had known so I could’ve started in dog grooming sooner) or not so good things (things that are just part of the job). So I’m here to share with you all the 5 things I wish I knew before starting this new, very rewarding career! This is honestly the key to a great career in grooming. Patience is something that I am still learning to have every day. Dogs know your emotions. You may not believe that, but it’s true. If they sense you are getting frustrated with them, they will continue to act the same or become even more anxious. If you are continuously trying to make them feel more comfortable by talking to them in a calm voice and taking your time, more often than not, they’ll become 100 times better. When you are calm and taking your time with them, the groom will fly by and it will be a better experience for both you and the dog. When I was just starting out, this was a big one that I needed to learn how to do. I thought I didn’t know the right questions to ask so I didn’t ask a lot. Or I’d forget to ask a certain question and be in a slump with not knowing what to do. Clients would then come back asking for the face to be shorter or say that the ears were too short, and so on. So please don’t be afraid to ask a million questions if you need to! Knowing how to groom the dog the way their owner likes it is one of the main reasons clients come to us to groom their dogs. If you struggle with one part of a groom, ask a thousand questions about what they would like done. Write it down if you need to! For me it was the face. For a while, I wasn’t going short enough for some clients, and truthfully I was getting frustrated with myself. After that, I started asking every client how short they wanted to go around the eyes, if they wanted a little beard, if they wanted the head round, and so on. Once I started doing that, the head was so much easier to do. My grooming jobs started to turn out way better than before! This one is my favorite part of the job. I have always been about helping animals in any way I can. As dog groomers, we take care of the dogs in ways vets and other animal facilities can’t. Some people may not think we do much, but, oh, we do! Take a matted dog for example, mats pull on the dog’s skin and get tighter and tighter by the day. We give dogs relief from that uncomfortable problem. Once a dog is relieved of those mats, you can tell they feel 110% better than when they walked into the shop. They jump around all happy, and there’s honestly no better feeling then seeing those dogs happy! Another good example is the dog’s skin. 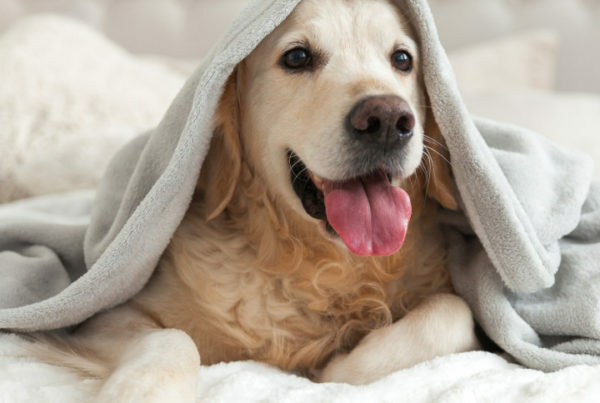 A dog’s skin is the most important part of having a healthy coat. If you can’t maintain the skin, you won’t have a good coat. 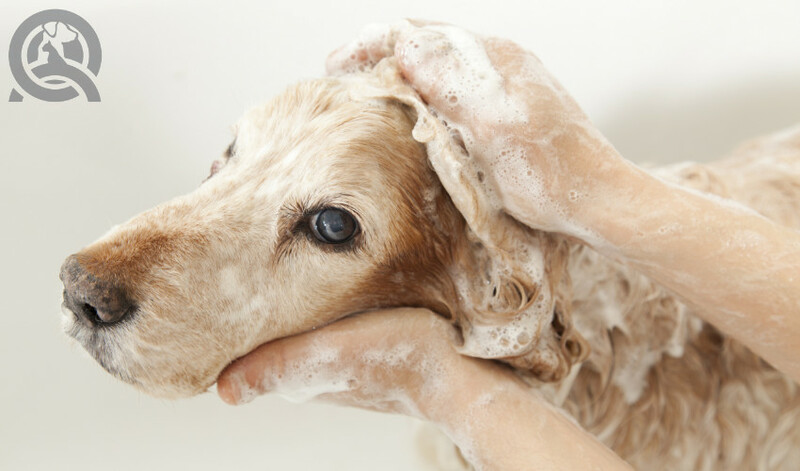 Depending on the dog’s specific case, they may need regular baths if the skin is dry and flaky. Or they may need baths only once in a while with regular brushing. If the dog smells yeasty, you can catch that right away and notify the owner. 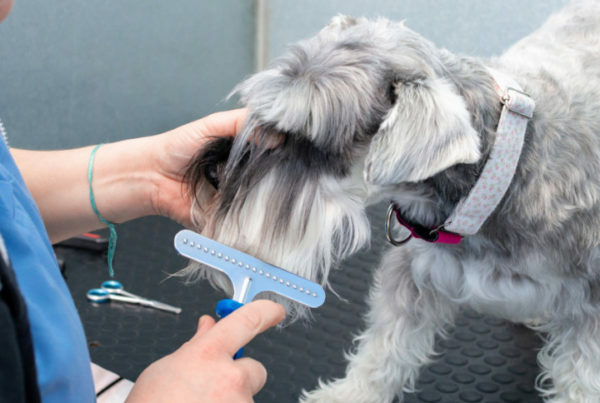 There are so many ways that groomers can help with skin. Groomers help dogs in big ways, even if it doesn’t seem like it at first. But we are not vets. We are there to let the owners know that there may be something going on with their dog. I believe that being in this line of work is rewarding for this reason. If this ain’t the truth, then I don’t know what is! When you tell people that you’re in grooming school or are already a dog groomer, they think,”Awe, that must be the best job, working with puppies everyday”. Let me tell you this: not every day is glamorous for a dog groomer. Your very first dog in the morning could be a complete angel and loves everything about the groom. Then, the next dog could be touchy around its rear or may not like having its nails clipped. There are so many challenges you will face with every dog that hops on your table. I had a bit of an idea of what it was going to be like when I started grooming. But I really had no idea what it all entailed until I actually had hands-on experience with the dogs. My advice to you all is to take your time with every new dog you are not familiar with. Get used to how it acts and what it doesn’t like. And take notes so the next time that dog comes in, you’ll know how to work with it and help it get used to the grooming process. Making every client happy is impossible—it’s as simple as that! You’ll get amazing clients who’ll love your work and love that you take such good care of their dog. And you’ll also get the ones that are not the biggest fan of your work even though the dog looks super cute, and you did everything they asked. And that’s okay! It took me some time to actually come to terms with this. No one really warns you about it. You just take it as it comes. When starting out as a new groomer, people will definitely take advantage of you and may not be the nicest towards you. But you always do the best you can anyways. If someone just isn’t feeling you’re grooming style, maybe you’re not the groomer for them, and that is perfectly fine. There will be so many great clients that will come your way during your long dog grooming career! 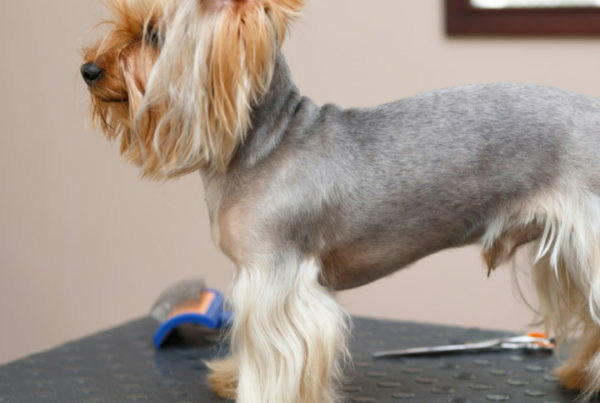 Think dog grooming may be right for you? Check out QC’s Dog Grooming Course Outline! I’ve been grooming for 10 years. This list is 100% correct, and in perfect order. Thanks for sharing.